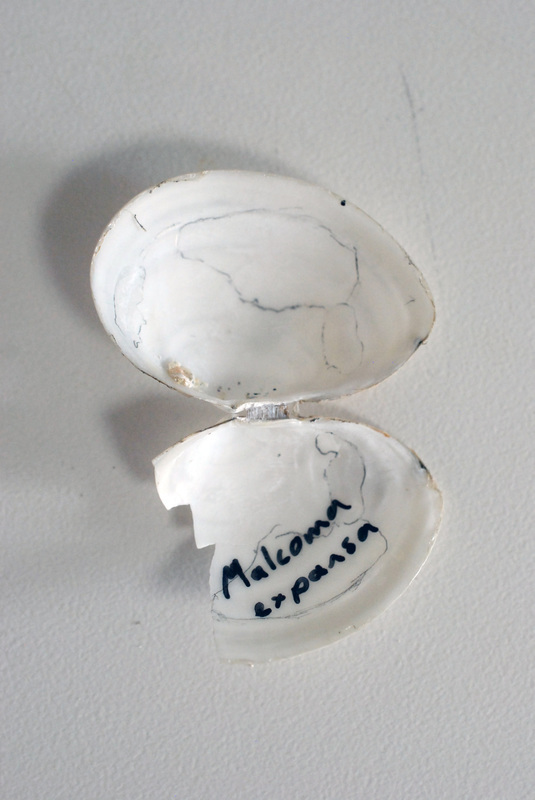 A broken expanded macoma shell from the bivalve collection at the Hakai Institute's Calvert Island field station. Photographed by Kelly Fretwell. 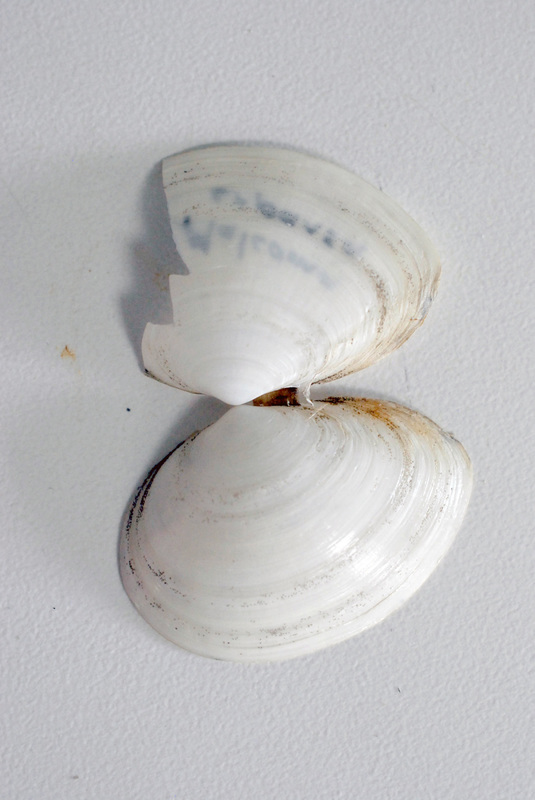 This clam has a white oval-shaped shell, with one end (anterior) shorter than the other (click here for information on shell orientation). The exterior of the shell has a varnished appearance, sometimes with a yellowish periostracum. The shell reaches 5 cm long. The expanded macoma is a less common species, and is found buried in sand in the intertidal and subtidal to 30 m deep. It inhabits exposed shorelines from the Aleutian Islands in Alaska to central California. ​Harbo, R. M. (1997) Shells & Shellfish of the Pacific Northwest. Madeira Park, BC: Harbour Publishing. P. 153.